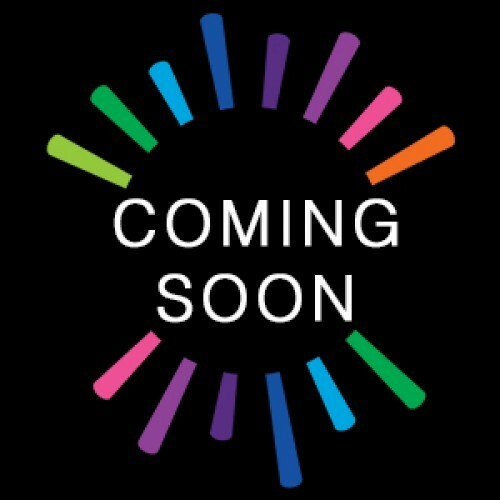 Adding yet another (emphasis on 'another' - we've a fair few now!) 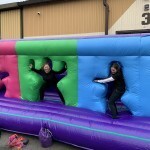 challenging, but always fun, inflatable to our collection of Assault Courses, we're ecstatic to present the always fun and often hilarious to spectate - the inflatable Hole in the Wall Assault Course. 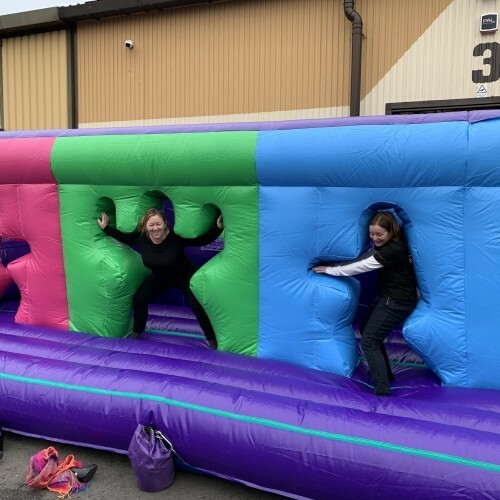 One of the more challenging of our assault course obstacles, this vibrant inflatable is perfect when either added to other sections to complete an Assault Course 'run' or hired on it's own. The challenge of the Hole in the Wall may bring on memories of Vanessa Feltz as she squeezed through an approaching wall on that prime time family friendly tv show, what was it called? Hole in the Wall rings a bell...perfect name for an inflatable. Anyway, challengers take on this inflatable by having to 'pull' the shape required to fit through the wall. Adding to the challenge is the fact there are two walls on each of the three lanes, each with a different shape to pull. 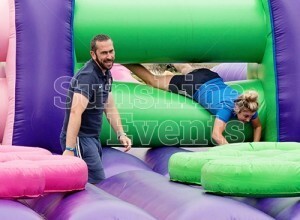 There's no simply diving through, so whether it's the Michael Jackson pose, a star jump or imitating Mr Bruce Forsyth, this addition to our range of obstacle courses is guaranteed to be a big hit at your event! 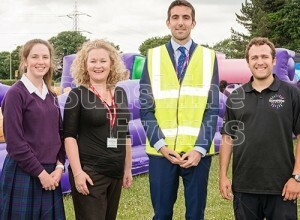 What events are the Assault Course Hole In The Wall Hire suitable for? 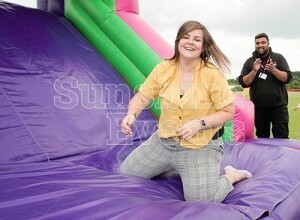 Assault Course Hole In The Wall Hire has been added to your Event Quote.